The Santuario-Cenobio de Nuestra Señora de la Luz is a small church in a sprawling complex of rather run-down-looking buildings which nestles on the north-western slopes of the Sierra de la Cresta del Gallo, behind the town of La Alberca and the area known as El Verdolay. 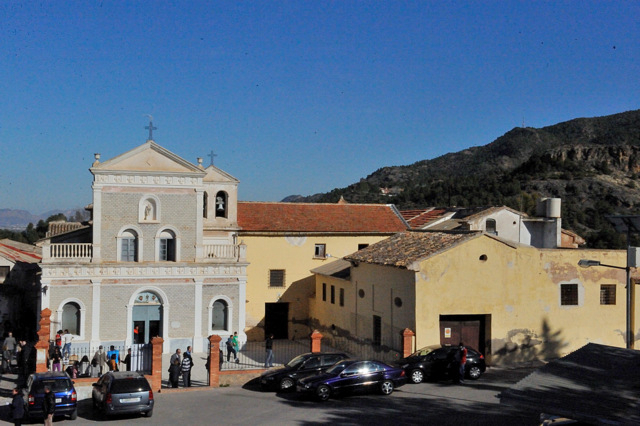 The monastery-church is within the boundaries of the El Valle regional park, and is only a short walk from both the La Luz visitors centre and the Santuario de La Fuensanta, indeed a very pleasant walk is to first visit the Sanctuary of Fuensanta, walk to the church of La Luz, then continue up the hill to the visitor centre of La Luz where the remains of an Iberian place of worship and visitor centre can be undertaken, finally concluding the trip with a meal, snack or drink in the restaurant above the visitor centre and enjoying the stunning views across the surrounding countryside. 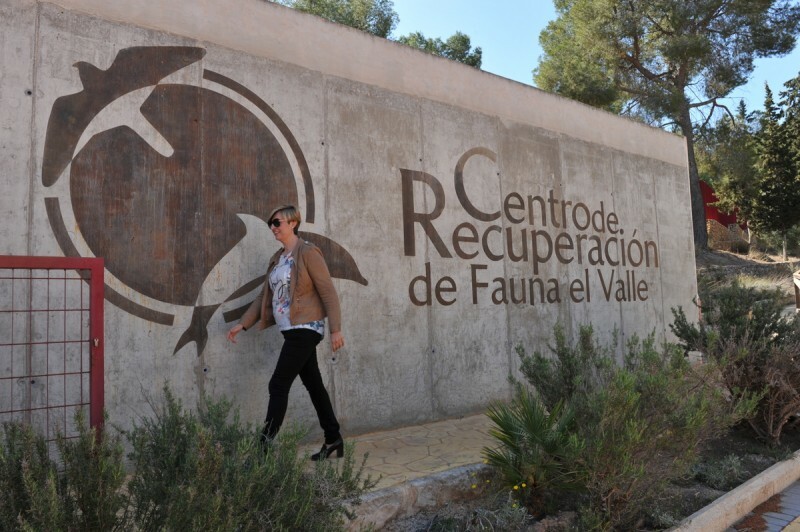 For those arriving by car the advice is to follow the signs for “Parque Natural El Valle” from the Santuario, and the church is easily visible from the road on the right around 1.7 kilometres from the Sanctuary of La Fuensanta. 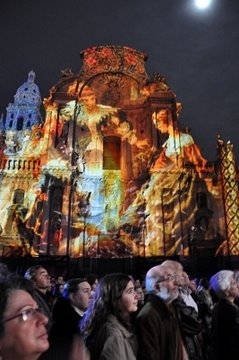 Click for map, Sanctuary Fuensanta. The monastery stands on a plot of 20,000 square metres, and can also be reached by following Calle de la Luz up the hill from Santo Ángel. The large complex of buildings is hemmed in by the Rambla del Sordo on the east and the Rambla de Santa Catalina to the west, while the hills behind it reach heights of 350 metres above sea level. 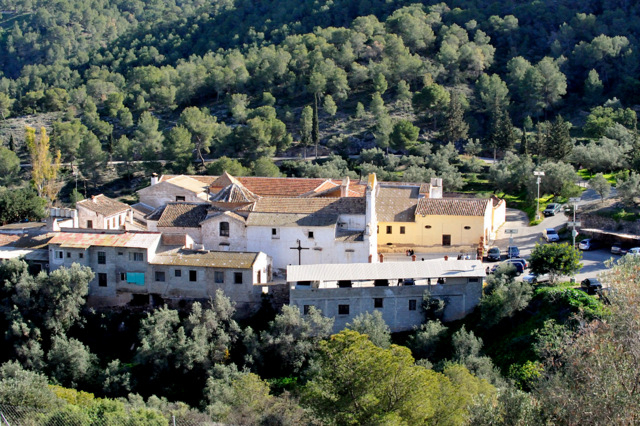 Down below to the north lie the prestigious residential area of Verdolay and the towns of La Alberca and Santo Ángel. 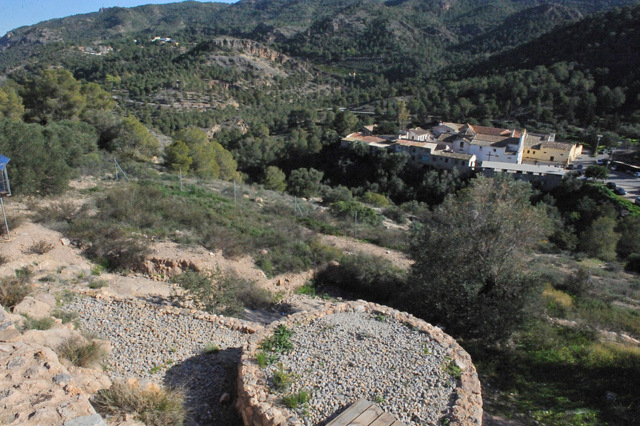 This part of the hillside has long held religious significance for the inhabitants of Murcia, with Iberian places of worship having existed centuries before the Romans arrived in the area. 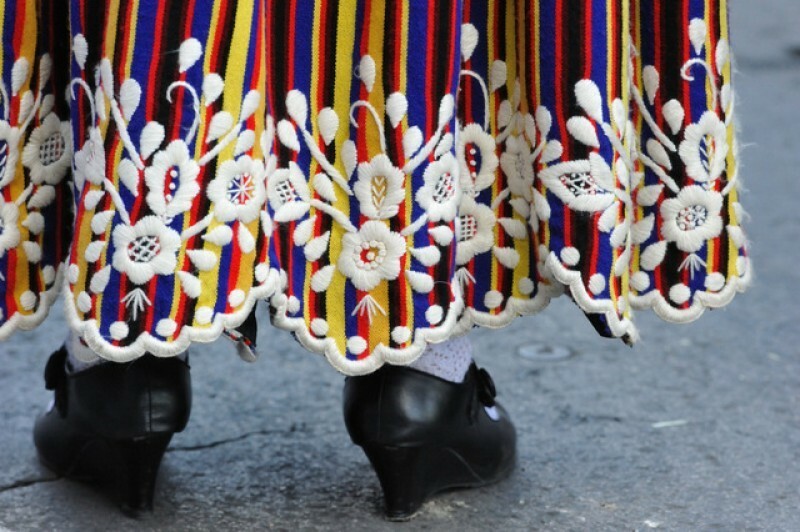 This religious significance survived the eras of Roman, Visigoth and Moorish rule through until the Reconquista, until reclusive Christian monks beganto inhabit caves in the mountains. It was from this group of hermits – if hermits can ever be said to form a group! – that the Brotherhood of la Luz emerged. The first leader of the Brotherhood, Miguel de la Soledad, inhabited the Cueva de la Hiedra, which can still be visited approximately 200 metres from the monastery complex half-way up the mountainside. The cave measures around six metres deep by four metres wide, with a small side chamber, and terraced horizontal surfaces benches have been carved into the rock. Unfortunately it is no longer possible to visit the Cueva de Santa Bárbara and the Ermita del Santo Espiritú, which were also home to the monks until the late 17th century. 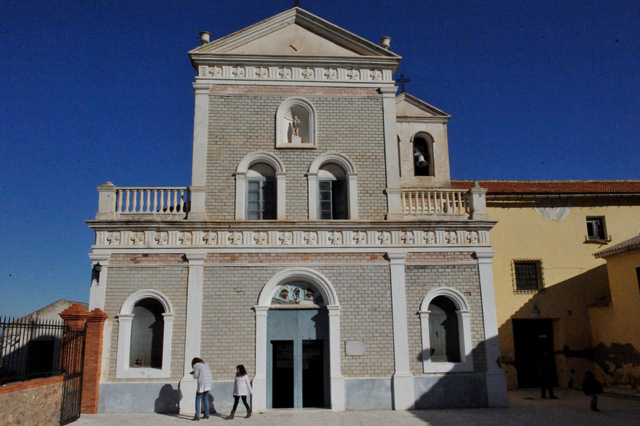 Eventually a monk named Brother Pedro de la Santísima Trinidad decided to build a monastery and church, and planted olive and pine trees in front of the site where the buildings now stand before requesting permission from the authorities in Murcia to use the land for this purpose. 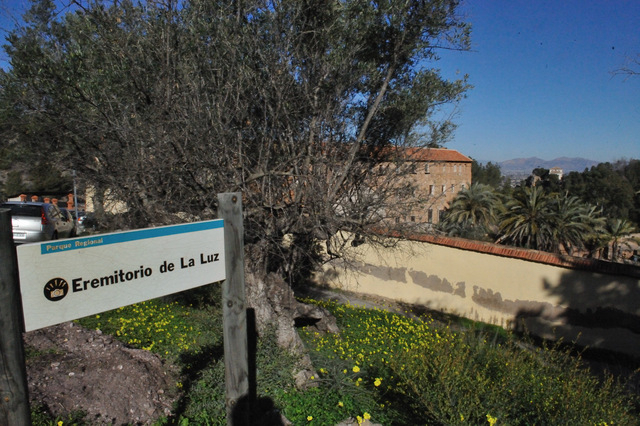 In 1696 Bishop Fernández de Ángulo authorized the monks to build a structure which eventually became the monastery-church of La Luz, and the first Mass was held there on Sunday 20th November 1701. 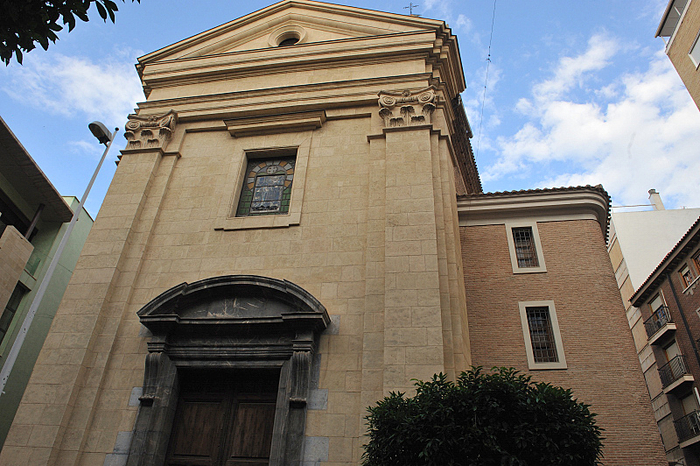 The building was remodeled in the second half of the 19th century, when it was lengthened, a presbytery was added, a main altar and camarín niche were created, the transept was enlarged and a choir was added where daily prayer could be undertaken. 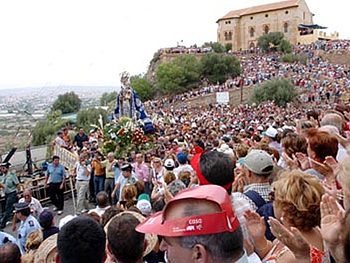 On the last Sunday of every month of October a small Romería is held with the figures of Santa Nunilón and Santa Alodia being paraded on their way to the church, and this celebration is attended by residents of the towns of Huéscar and La Puebla de Don Fadrique, both in the province of Granada, of which the two saints are patrons. The Brotherhood has always been small, and has survived on working the land, alms donated by patrons and members of the public and the meager revenue from its cottage industry – and today it is possible to buy honey, chocolate and cakes at the entrance to the church. The brotherhood of the Hermanos de la Luz sell produce and chocolate from the monastery in order to help finance its survival. Chocolate and other produce can be bought from the Monastery during the opening hours of 10.00 to 13.30 and 15.00 to 20.00. 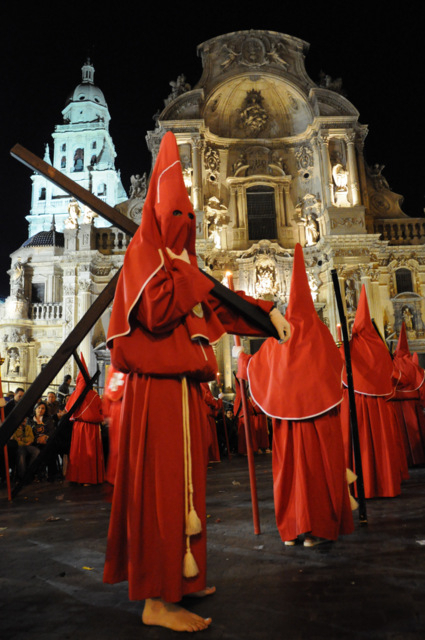 The origins of the “Chocolate de la Luz” date back to 1429, when the Concejo (Town Hall) of Murcia granted permission to Pedro Busquete to use the “Agua de Fuensanta” spring water. In the 18th century they were allowed to sell brooms, honey, olives, bread and chocolate, which they made by hand. At that time the monks used the fruit of the carob tree, which they ground and cooked according to their own recipe to produce what was known as “poor man’s chocolate”. 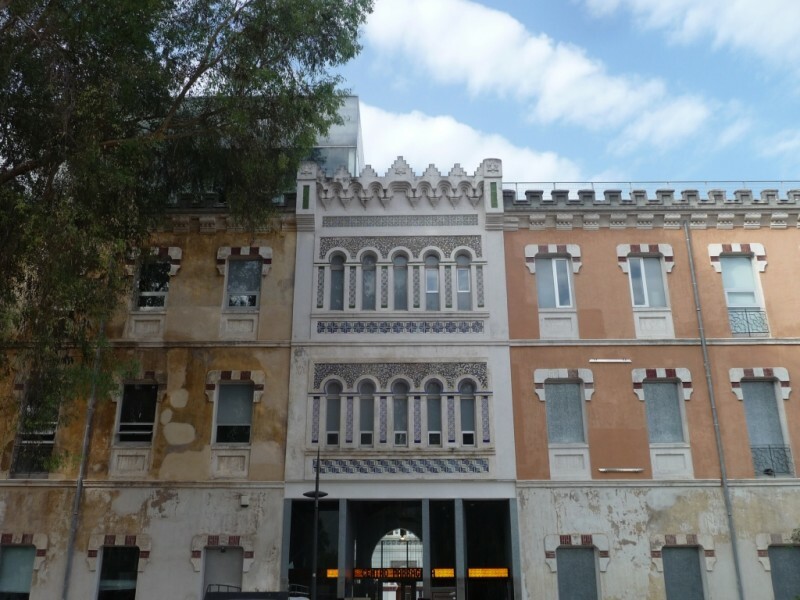 Little by little, though, they adapted their recipe to include cocoa instead of carob beans, and eventually they produced the best known chocolate in Murcia. In 1969, however, EU requirements regarding the modernization and standardization of production processes found the Brotherhood short of the funds needed in order to do so, and production stopped. When the last surviving Brother died approximately ten years ago the Iglesia del Eremitorio was taken over by Colombian monks belonging to the Order of Guadalupe who adopted the Brotherhood of La Luz, and the new occupants of the Monastery and the Church have resurrected the old tradition of chocolate-making. The new Chocolate de la Luz, which is sold in two varieties (dark and with milk) is not the same as the old artisan recipe, but even so it is a revival of the historic tradition which exists within the regional park of El Valle and Carrascoy. 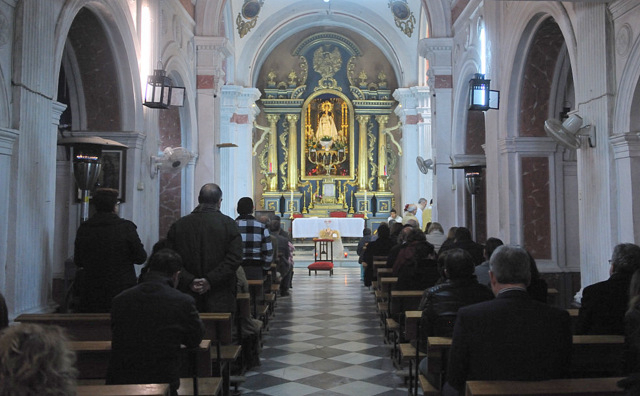 The interior of the Ermita de Nuestra Señora de La Luz as it stands today is in many ways typical of 18th century churches: a central nave, interlinking side chapels and a transept crowned by a dome, and as is to be expected in an Order marked by humility the decoration is simple and sober in style. To the right of the main altar is the Monacal choir (or Coro Bajo), which leads to the monastery. Outside the church to the right is the oldest building in the complex, which is a semi-ruin and is now used as a garage but in the past was the first primitive chapel on the site. The centre of the complex of buildings is occupied by a garden of trees and bushes, and around this patio area are various rooms which at one time were offered to guests and family members of the brothers who lived here. The complex shows visible signs of wear and tear, but this is part of its charm and the church is generally busy with visitors to the park stopping off en-route.